Category Index for "Social Media Guides"
This category is everything about social media. We like to keep things simple here at Top Five Advisor, so the various social media categories are sorted by popular topics such as Social Media Tools, Social Media Optimization and Social Media Research. Google Hangouts On Air is an amazing broadcasting platform. It allows you to have conversations between multiple broadcasters and then stream the combined video feed to millions. While there is some amazing technology behind google hangouts, in order to create an amazingly interactive and well run hangout, there is a lot more to it. See Crowdcast in Action! At the top of this page, click the play button to begin a video presentation of how Crowdcast works. I’m confident that what you see how this tool integrates with Google Hangouts, how you can interact and the marketing benefits of your video(s) after your event is over, you’ll be hooked! The following 10 steps will give you a great overview of what it takes to make a great hangout as well as introduce you to Crowdcast, which is used to make hangouts more engaging for your audience. You can also use these tips if you are using UStream or LiveStream as well. Crowdcast officially supports Google Hangouts, UStream and LiveStream. When you visit CrowdCast, simply click the large Create an Event button which will pop up what we show you on the right. There are some great options here. To start off you can select between starting your event now or at a future date. If you select a date in the future, when your attendees register for the event, they’ll see a beautiful countdown to the event. Next you can choose between public and unlisted. If you select unlisted the event will only be shared with those who you invite while public events can be discovered on our site. Next is registration. If you require registration people will have to sign up for your event. If you don’t, they’ll be able to go right in and see your video. We suggest you require registration so you have a better idea of who attended your broadcast. Once you’ve created your event, it’s time to get the word out. Crowdcast makes this very easy as we give you a single URL to register and watch the event. Simply copy the URL from your event page and post it to social media or email it to the people who you’d like to attend. If you’ve set your broadcast to require registration, when people visit your link they will see a beautiful registration page with your photo on it that includes the title and description of the event. You can also embed the Crowdcast event on your website or blog so that people who are on your site can easily view and register. Thirty minutes before your broadcast, visit your event page on Crowdcast and click on the yellow button to start your google hangout on air. Simply click this and another window will open and ask you to agree to google’s terms of service. 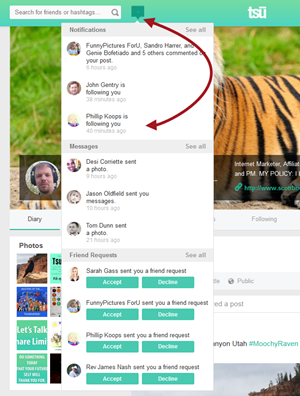 Once you’re in the hangout window, the Crowdcast hangout app will open on the right hand side of the window. This app allows you to see all the polls, questions and chat messages on your Crowdcast event page, right in the hangouts window. Check to make sure that you can see questions posted. Next, in the hangout window, invite any other broadcasters who are going to be speaking at the event. Check to make sure their lighting is good and their video and audio equipment is working. For lighting, having a lamp with a lampshade on the side of the computer monitor is a great way to make sure that the broadcaster will be well lit. If you chose to do so, Crowdcast will automatically send out a reminder email right before your broadcast starts. As you start your broadcast you can see from inside the hangout window how many viewers are currently watching the stream. As you see people arrive you can start your presentation or introduction. It’s important to remember here that it’s okay to start if there are not that many people there, as hangouts are recorded so anyone arriving late can quickly catch up. Inside the hangouts window, you can see a list of the questions that have been asked by your audience. The questions are ranked in order of how many other audience members have upvoted each question. This is so that the question at the top is the next question that most audience members want you to answer. When you start answering a question, click the green button next to the question to record the fact that you are answering that question. This indicates what question you are currently answering as well as enables people who are watching your recorded broadcast to easily navigate to the moment you answered a specific question. That way when they come to your broadcast, they can find a topic or question that they find interesting and with the click of a button, navigate to that part of the broadcast. After you finish answering a question, click the red “Done Answering” button to move that question to the “Answered Question” list and have it replaced by the next question. A large part of attending events both online and offline is to meet other attendees. Crowdcast makes this very easy to do. Attendees can click on the attendee icon on the bottom left of the broadcast section on the Crowdcast event page. Here they can scroll down to see a list of all of the event attendees along with their linked social profiles. So an attendee can find other people who have attended the event and connect with them on twitter or other networks. 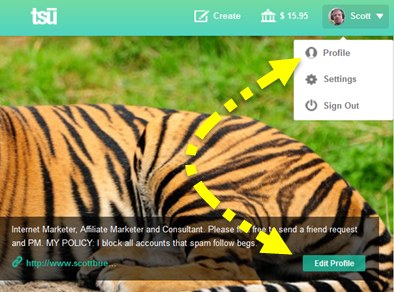 The second way for people to network is to click on their user icon in the chat section of the Crowdcast event page. 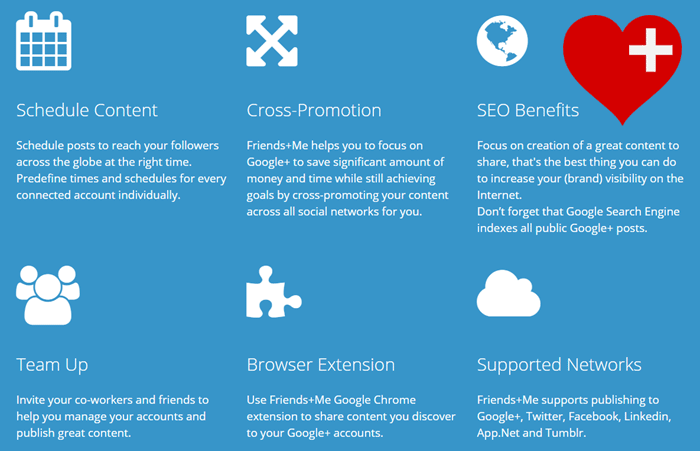 This links to their Crowdcast profile that includes links to the users presences on other social networks. If you are hosting a multi session conference, simply tell your attendees that in order to visit other sessions they simply click on the dots at the top of the page. You can add other sessions to your event by clicking the button below the description of your event on your event page. Creating multiple sessions for the same event means that viewers can stay on the same page and easily navigate between the different sessions of your event. When signing off from your event, have a plan of what is next for your attendees. An example of this is if you’re hosting a virtual conference, it’s great to explain what they can look forward to in the upcoming sessions. If you are hosting an informational webinar for a product you are selling, explain to attendees that you’ll be following up with them and sending them a coupon code for them to get started with your product. 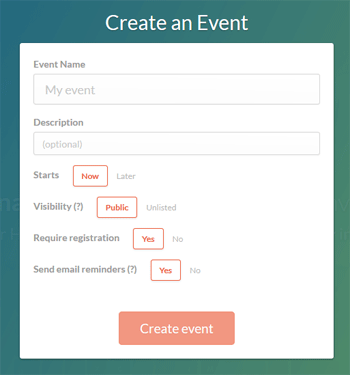 If you required registration for your event on Crowdcast, after the event you can go in and download a file with the list of all of the attendees so you can follow up with them. After your event, visit your event page on Crowdcast and select the menu below you event description. Here you will find the option to see the analytics for your event. By clicking on this and scrolling to the bottom of the page you will see some great analytics. From learning about the gender and location of your audience, to seeing which attendees is most influential on twitter, crowdcast shows you some really helpful data! After your event has finished, you will be able to share your event on social media, your website and in email to get additional input from your audience that wasn’t able to attend the live event. 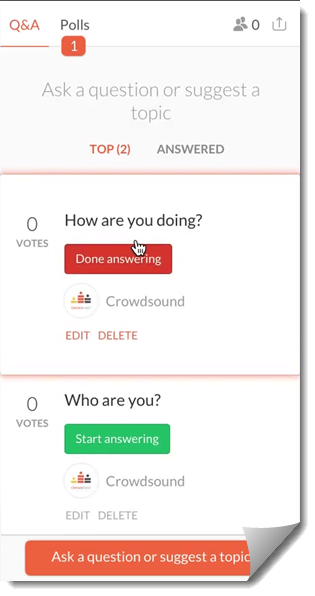 One awesome feature that CrowdCast has is the ability to click “View Answer” and have the video jump right to that answer. This is one of my favorite features because most people are limited on available time and if they are looking to find out an answer to a question you responded to, they can jump right to that answer and skip all the fluff (intros, waiting, connectivity issues) that traditional hour-long+ hangouts have. As always, we are continuously learning how to create great online experiences. So if you have any tips that we missed please let us know. Visit CrowdCast – Go to their site, click Create an Event and start your first CrowdCast powered Google Hangout, UStream, or LiveStream Event. Social media is everywhere and I love it! I’m always on the look-out for awesome and trendy social media icon collections that can be freely downloaded and used on your website(s). These are my favorite collections that I’ve bookmarked and discovered in my search for free premium trendy social media icons. Below, you will find my collection of 25 awesome social media icon sets. This post was last updated on April 22nd, 2015 which includes updated URLs, fixed 404s and added new sets to the mix from our 2014 edition. This collection provided by GraphicsFuel offers a total of 20 clean and flat social media icons. These were created with shape layers in PSD format making them easily editable. These are in 114×114 size, primarily for iPhone 5 display, although you can easily resize them down to what you need for your website or other use. These are awesome! They mimic the look at feel of social share icons of 2014 and look fantastic. The website provides you with a PSD formatted file with the size as shown below. Unfortunately, you’ll only be able to go with the size shown or resize to fit. If you need larger icons, this set isn’t for you. These social media icons are Polygon shape and I know some of you math / geometry whizzes out there will get a kick out of these social media icons! These are AI vector file format so you’ll be able to resize to your heart’s content. There are 15 icons total in this collection. One of the latest trends I’m seeing is long shadows. Here’s an excellent set that offers 16 social icons in PSD format that includes the long shadow look and feel. This set includes various shapes depending on the icon and each design element can be removed, say, if you don’t like the long shadow. The only thing I wish this set had was uniformity by using the same shape on all icons, but that is a personal preference. A free resource provided by Pixeden. This set includes 32 different social media icons and are in EPS file format for resizing. Author: Allan McAvoy and shared on Dribble. This package includes PNG, ICO, and PSD formats. There are 30 icons in this collection all at the size of 256 x 256px. Designed by: Probal Kumar D. Released by WHSR. This set includes 40 social media icons inspired by Google’s new visual style of long shadows. This set also includes 5 sizes to choose from from 512×512 px to 16×16 px. The file types included are AI, EPS, and PNG. The file includes well-organized groups to change colors and sizes. 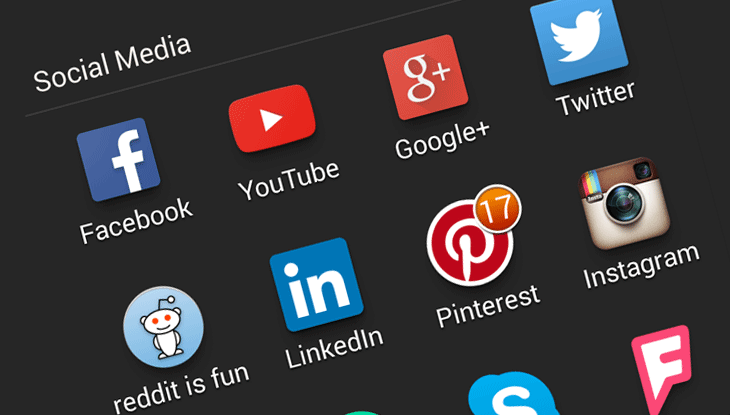 These social media icons include shadowing at the bottom with a general square share that includes rounded corners. This set includes PNG and a PSD for editing. Provided by Will Francis of Harkable. This social media icon set is elegant and comes in both dark and colored versions to use on your website. If you know how to code CSS sprites, you could really do a nice mouse-over effect with these that will make your social media POP. Includes 24 icons and is provided by BestPSDFreebies. This set includes 42 icons at 64×64 px size in PNG and PSD formats. Made Available on Elegant Themes. One thing that caught my eye about this set is it is constantly being updated. It has gone through 5 edits since initial launch, which is quite amazing! All 40 icons are in PNG format at the size of 500×500 px in 300 DPI for maximum flexibility. At 300 DPI, you can use these for both print and web, which is a nice bonus for those looking for social media icons for presentations and resumes. This is a nice collection of 20 badge-based social media icons. Each badge is crafted by Photoshop shapes so you can edit, alter, and resize them to your needs. Editor’s Note: Download requires email opt-in. These caught my attention because they are extremely clean and mean for those minimalistic designed website themes. All images are in PNG format and are 80×80 px in size. Here is another set of social media icons that caught my eye for their uniqueness. These 25 social media icons were created Adobe Illustrator CS5 and are completely scalable to any size you need. The shadows are semi-transparent so you can use them on various background types. Includes an AI and EPS version. This set is interested because they are completely transparent and bleed through to your website’s background. Therefore, if your website has a dark background, this icon set might be perfect for you. You can’t use these on a light background because they won’t be visible. This set includes 7 sizes from 48×48 px to 512 x 512 px. If you need a vector AI file for this set, there is one available for a $3.00. These are really interesting and provided by yaruno on DeviantArt. The only issue I see with this set is they aren’t provided for download. However, you can download a higher resolution image of this set and attempt to crop out these if you’d like? A very unique social media icon set offers a “letter-pressed” look. I haven’t seen a set like this before, so I knew it belonged here. This set includes 12 icons with the size of 75×75 px. These remind me of bottle caps so that’s what I’m calling them. They look absolutely fantastic and come with 2 variants, with shadow or without. This is actually a set of 86 PNG icons that contains social media icons, web browser icons, payment services icons, mixed services icons, and even Czech local services icons. This is a set of 24 social media icons in PNG format with the size of 100×50 px. This set includes 12 icons in total with the size of 64×64 px. I liked this set for the grid pattern that is included in the icons which provides an interesting feel. This metal set of social media icons includes 12 icons in total with the size of 64×64 px. 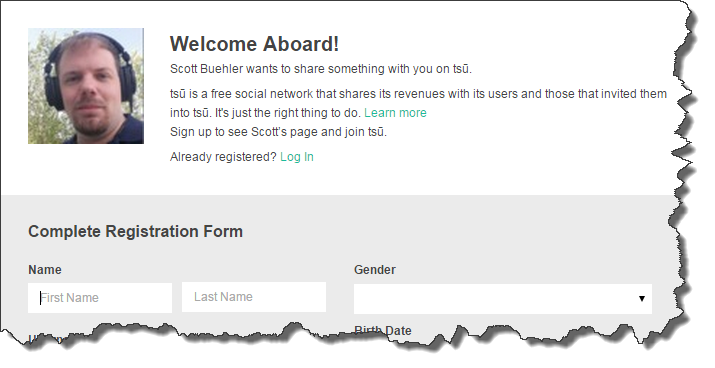 If you are anything like me when I got my start on tsū (pronounced sue), you are likely skeptical and wondering what makes this social media network “tick” without joining. I found out about Tsu while I was on a family vacation to Moab, Utah when there was a massive viral push for the network on Google+. I remember sending myself a text “Research Tsu and join” to remind myself when we got back and I did just that after we got back. I couldn’t find much information about what the heck Tsu was and social media was flooded with “Join Tsu” links all over the freaking place with no real explanation of what the heck it was. I was frustrated as I am sure you are as well. I used Tsu for several weeks before writing this guide to offer my own educated input based on my research. So with that intro out of the way, let me go ahead and show you exactly what you are missing. When browsing this guide, feel free to click the sections below to drop instantly to that section to immediately get access to the information you are looking for. If I didn’t answer your question, please feel free to ask in the comments section below so I can answer you there as well as update this guide. Introduction: What is Tsu? Why is everyone suddenly begging me to join? What is the difference between Follow and Friend? 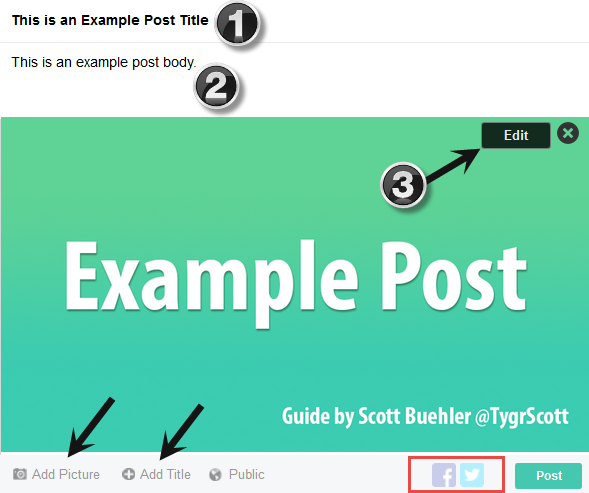 How to create a post and share your content. How to increase followers and friends? How do I earn money and get paid to be social? Learn how to be a good Tsu citizen. How to block the spammers. What is Tsu? Tsu is a social media network built, in my opinion, most similar to Facebook and was launched on October 14th, 2014. If you’ve ever used Facebook (who hasn’t? ), then you’ll easily fit right in to working with Tsu, for the most part. Since launch, Tsu has welcomed stars like 50 Cent, NBA stars like Tyreke Evans and Kevin Durant, bands like Guns N Roses, NFL stars, singers and more (growing by the day). The main key difference when comparing the two networks is the fact that they pay their users a majority of revenue earned ( up to 90%) when users view pages and therefore, the advertisements. This key factor is, in my opinion, the reason why there was a big initial push with people sending their link everywhere and to everyone they could. This is a simplified summary of the “getting paid to socialize” concept, you can learn more about earning money in the “How do I earn money and get paid to be social?” section. Even though you can get paid to be social on Tsu, it is important to understand that it is completely 100% free to use to the fullest. There’s no upgrade fees, add-ons or premium services to purchase at the time of this review. Now that you’ve learned what Tsu is all about, it’s time to register your account. You will need a link to another member’s short code to get started, you won’t be able to join by simply visiting the main page. Feel free to sign up under me with this link, I’d appreciate it, otherwise, use the link of the person that first told you about Tsu. However you sign up to Tsu, make sure you follow me and send a private message introducing yourself. Be sure to mention this guide in your private message! The very first thing you should do once you have your account registered is to customize your profile to let everyone know more about who you are, what you look like and of course, your bio. Use the image to the left to find your profile link. You can either click your name on the upper right or click the edit profile link in your profile area. 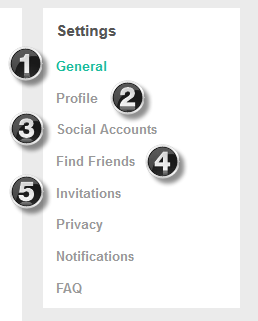 Once you are in the profile area, you will see many options on the upper right to select. This page can generally be ignored because you just entered this information in when you registered your account. Should you need to change your name, email, birthday, gender or password, you can do so in this section. This area is the most important section to update. Here is where you can add your face image, your cover picture, your bio (160 characters max), phone number, website, relationship status and location information. This is slightly confusing and I’ve had several questions asked to me in private message about it, but this area does not include all social media account possibilities (see #2 above). Between #2 and this section, you will be able to link a total of 6 social media accounts and have them listed on your main profile page. 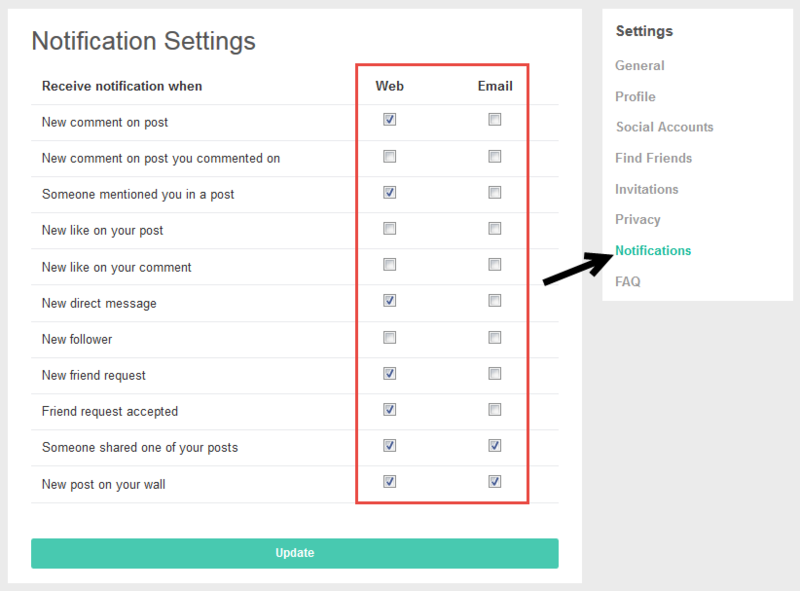 Additionally, once you add Twitter and Facebook, you will now be able to share to these networks when you post content. Simply put, this area allows you to find other Tsu members that are connected with you on Facebook and Twitter. Once you discover these users, you may friend or follow these members to connect with them and see their content. This area shows you your Tsu short link and also allows you to email friends to invite them to join Tsu through your link. Unfortunately, you can only email one email address at a time and you’ll need to know their first and last name so you may consider using a personalized email to reach out and ask others to join. As a general rule of thumb, I strongly suggest at minimum you update your profile picture. This allows other people to see who you or your company are and this image is used all over the website including notifications, private messages, your content, when people hover over your name in mentions and many other areas. Consider This: When you follow other members or send friend requests, the first thing they will see is your profile picture. Adding a picture here will help grab their attention when considering a friend request or returning a follow. You want people to identify with you or your brand so make sure you update that photo ASAP! What is the Difference Between a Follow or Friend Request? When you begin using Tsu, you’ll notice a couple choices when you decide to connect with another user. Here’s how these two functions work and differ. Follow – You can use this on any account and their content will appear in your home feed (main tsu.co page). This is a one-way connection, meaning, you will see their content but that user you follow will not see your content in their home stream unless they choose to follow you back. Add Friend – This option will send a friend request to that user which will appear in their notifications. 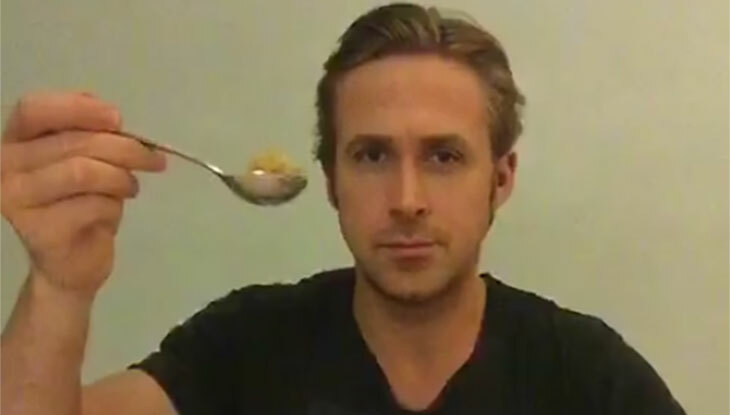 This is a mutual connection that, if the user approves, will allow both of you to see each other’s content. Both aren’t needed! If a mutual friendship is established, you do not need to follow that person as well. Since there are limits to the amount of follows you can do, it is advised to unfollow when you have an established friendship in place. Profile > Top of the middle column. Home Page > Top of the middle column. Once you know where to go to post your content, there’s a few options I’ve highlighted for you in the image above that you should know about. Add Title – This allows you to give your content a BOLD TITLE which helps your content stand out and grab the attention of your viewers. Post Body – This is where your standard content goes. Paragraph formatting for your content with the return / enter key is allowed. Image Editing – After you uploaded an image into your post, check out the black “Edit” icon on the top right of your image. You can do all sorts of fun stuff including adding effects, frames, cropping, resizing and much more. This has been updated several times and, at the time of this review, is assumed to be true with no official documentation provided by Tsu to confirm. 36 total posts in a rolling 24 hour period. 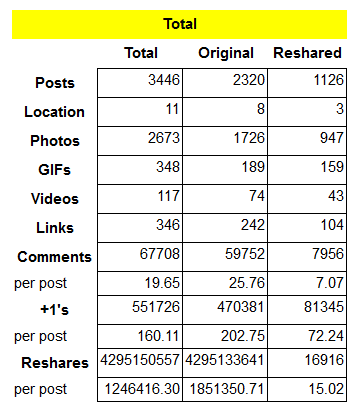 8 shares of posts from others in a rolling 24 hour period. 50 pending friend requests in a rolling 7-day period. 1,000 people you can follow. 10 @ mentions (account mentions) allowed per post. 10 hashtags allowed per post. A common misunderstanding from newer users is the follow limit. Your account is allowed to follow 1,000 people, however, an unlimited amount of people can follow your account. The 36 total post count includes any sharing you do. So if you share 8 posts per day then you can only share 28 pieces of original content. A rolling 24 hour period means that if you shared a post 23 hours ago, you can wait one more hour and you’ll be able to share another post again. Important: If you decide to send friend requests, I recommend clicking the “Follow” option as well. By doing this, you can click the “Following” tab highlighted above and monitor your friend requests. If someone is taking longer than you’d like to accept your request (and tying up your 50 pending friend request limit), you may then cancel the request and move on. Once someone accepts your friend request, you can then cancel the follow (since you are limited to 1,000, free up that slot). I define engagement as people who like, comment and share your content. Everyone wants to boost their engagement but almost everyone does it wrong. Most people, when reading the limits above, will instantly think “Hey, I’ll just share until I hit the limit and everyone will notice me!” That’s a bad strategy because you’ll likely fill up your diary/stream with a ton of recycled content that everyone else has seen and they will just skip over your posts and engage on other content instead. Be You – Be yourself, be unique and embrace your quirks. People who have similar interests will follow (and/or friend) through attraction marketing. Search – Type in your favorite topics in the search bar and click the hashtag options that appear. Go through the content in these pages and like, comment and/or share the stuff that interests you. Again, you’ll attract attention from that person’s audience as well as the person themselves. Encourage – When you see comments on your content, encourage them by replying to keep the conversation going. Reciprocate – If a user is engaging on your content, consider looking at their profile and reciprocating if their content is interesting and relevant. Stay Consistent – With most social media, you need to be consistent with your content. Don’t share 30 things one day and then return a week later. Instead, try to share content on a daily basis. Download the mobile apps for Android or iOS so you can post while enjoying that Starbucks coffee on the go. In my experience, your direct children (more about this in the family tree section) will be the most engaged on your content. Build your network! Invite. Invite. Invite. These people are already going to be interested in your content because they are already your fans. The same advice I provided in the above engagement section applies here. Mainly, you want to grab the attention of others by commenting your thoughtful or insightful thoughts relevant to the discussion, sharing content you think your audience will find useful and otherwise standing out in a large crowd or people. Share your short link to other social media if you have a following there. Share your short link on your website(s). Add your short link to your email signature. Add your short link to forum footer / signature areas. Call any family member who loves social media to get them on-board. There’s lots of methods you can use. A quick Google search on “how to market your business” will turn up hundreds of ideas that can also be used to share your Tsu link. Hello, this is a guide being written right now. Feel free to refresh to see updates. The standard way that most get their notifications on desktop is to click the yellow numbered icon in the top navigation bar. This will trigger the drop down you see to the left that shows you current activity, private messages and pending friend requests. Due to the obvious limited space of this drop down, there’s a limited amount of information available here. Under each section, you will see a “See all” option that allows you to see all notifications, all private messages or all pending friend requests. Of course, if you are on the tsu.co main page, there’s a handy sidebar on the left that also has “Notifications” and “Messages” that you can use to see all notifications. Notifications are awesome! They allow you to quickly see who is engaging on your content, allows you to see when people mention you, allows you to see who is sharing your content and more. Use this tool to your advantage to thank others, encourage additional commenting and more. I remember when I joined and added my first 75 people to my network. I was on fire! I started posting instantly, sharing tips I discovered, posting inspiration and lots of stuff. Then it happened, I checked my email. 150 emails within 4 hours of joining! WHAT!?! I took advantage of this by sharing screenshots of the massive amounts of emails I got on other social media and it attracted many to join Tsu with my link. It eventually got old. Within a week, I got tired of deleting the thousands of emails and decided to put an end to it. Above, I created a Gif showing how to access your notifications settings. Simply click your name on the upper right, click “Settings” and then click on “Notifications” to access the screen shown below. The above is how I currently have mine configured. You’ll notice that the majority of email notifications are disabled because it became extremely overwhelming otherwise. I do allow my audience to share content on my diary (wall) so I like to be notified when others share on it. I also enjoy following the comments on my content that is shared by other people, so I love those emails as well. All that being said, you’ll notice the animated gif I just recorded that shows the massive amount of shares I am getting on my content. That’s 49 emails in a span of just 3 hours. Could you imagine if I kept all email notifications enabled? I’d spend my life deleting email from my email client! You’ll also notice that I disabled some web notifications as well. This helps keep my notifications a little more manageable as my account grew in popularity. For those new to Tsu, I recommend keeping all web notifications enabled so you can reach out and engage with others. Of course, if you follow this guide, you’ll also grow in popularity like my account did and you may revisit disabling notifications at a later time. To access your family tree, go to the tsu.co homepage while logged in and click on “Family Tree” on the left sidebar. When you begin building your “family” by sharing your Tsu short link with everyone, you’ll begin growing your family tree. This consists of what Tsu defines as children, grandchildren and great-grandchildren (and so on). Children – These are accounts that you directly recruited into Tsu. Grandchildren – These are accounts that your children recruited into Tsu. Great-Grandchildren – These are accounts that your grandchildren recruited into Tsu. When you go to the family tree section, you may “View Descendance” under each of your children to see how they are performing. Find awesome recruiters and highlight them on a post. Private message your children and help them with strategies to build their network. 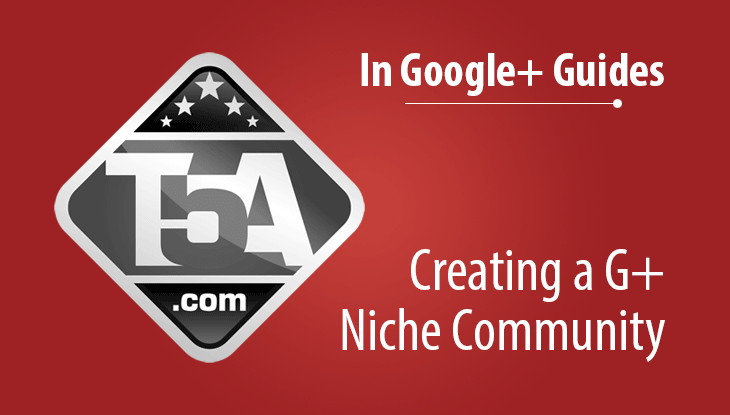 Build a team website, Facebook group or Google+ community and help your entire network expand with strategies. Ok, so why do I want to build a family tree Scott? See below. Tsu is built on the principle that your content is yours, therefore, ads revenue earned because of your content should be shared with you, the content creator. In fact, Tsu shares a massive 90% of their earned advertising revenue with their users (on accounts with a large expansive family tree). In order to get a slice of the action, you need to 1) build views and traffic to your profile and 2) build your network. Both of these, when combined, will earn you a larger portion of the share and thus, your daily earnings go up and up. As you can see, you can earn money based on the people deep in your family tree. Imagine if you were able to recruit 1,000 people and each of those people recruited 50 people and each of those people recruited 25? That would be 1,250,000 people in your network that you are earning revenue from! In other words, pay less attention to understanding the algorithms and pay more attention to building your network. Success By Sharing: I strongly encourage sharing the content from within your network. If you can drive eyeballs to your children and great-grandchildren, you are not only helping them earn revenue but you are also earning revenue as well! I also share content from outside of my direct network to help build my reputation and authority but I do have a sweet spot for my children …. you should too! Now that we’ve established how awesome Tsu is for everyone involved (thanks Sebastian and administrators, you rock! ), there’s also the down side. There’s a revenue sharing model in place, so there will be obvious problems as people try to exploit the system to earn more money. In this section, I want to address Tsu etiquette and things you should not do on the network. Creating a “follow me” scheme where you encourage others to share posts to gain followers. Share (participate in) content that others posted begging for follows or friends. Stealing other people’s posts and posting it as your own without crediting / mentioning the author. Sending unwanted advertisements (spam) in private message. Liking every post you see. All of this is considered spam. I’ve watched countless accounts attempt these pointless techniques only to get their accounts banned permanently. It is not tolerated. Don’t waste your time. In fact, you may notice in some of my screenshots that I have in my bio which states: “MY POLICY: I block all accounts that spam follow begs.” I block any accounts that attempt to comment on my content with follow begging. Since begging for follows does not contribute to the actual conversation, you are being disruptive to people trying to have real conversations. Yes, this will get you banned when enough people report it. Posting unique content that is relevant to your interests and hobbies. Contributing insightful comments to people’s content to help further the conversation. Sending private messages to people you find interesting and introducing yourself. Sharing Tsu tips and advice to others. Like content that you actually enjoy. As with any social network, you will likely encounter people that you need to block. When you block an account, it will prevent them from seeing or commenting on your posts, prevent them from writing on your wall and will also prevent them from sending you private messages. All you need to know is that you will need to visit their profile by clicking on their name on a comment or on the top of their post(s). Once you are on their profile, use the animated gif process I show above to block them. If you spot a spammer on Tsu, consider using the “Report” option and then “Block” that user using the process I show you above. This will help everyone’s user experience improve as administrators will likely block repeat offenders. 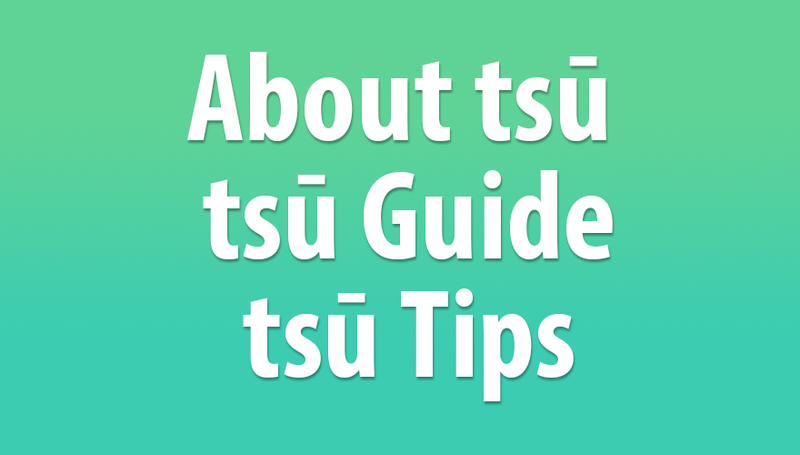 That concludes this Tsu beginner’s guide. If you have any suggestions or feedback, feel free to comment below. As always, this guide will continually be improved or updated as new features are added or changed. One thing I’ve learned through the creation of this website is that I love to learn and I love to share what I learn with others. Over the past week, I’ve been working on my YouTube skills and getting comfortable with the HD webcam I have and recording myself. Let me tell you, from an introvert like myself, this has been an interesting learning experience both about myself and video technology. In this guide, I am going to share with you the many tips I’ve learned to help you increase the views to your YouTube channel and how to increase your subscribers. When I started playing around with the advise I’ve found online, one thing is certain, this stuff works! My channel went from 301 subscribers to 362 in just one day on my main public account. The strategies have also worked on my affiliate marketing channels extremely well and even boosted my leads from these videos! So let’s get started. 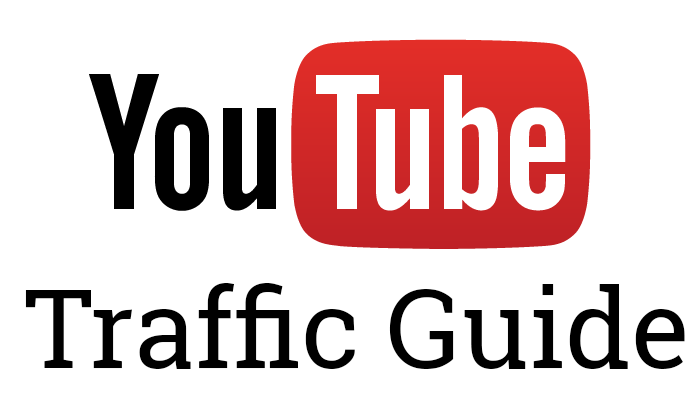 Here’s the advice I have for you on building traffic to your YouTube channel videos and also, how to build traffic to your websites and funnels. YouTube Video Creation – Keep it Short! Most people when creating video typically create longer drawn out videos with multiple topics based around the niche. Where I see this problem most prevalent is Google+ Hangouts where videos cover several topics and traditionally last an hour or more. I strongly recommend creating smaller 3-5 minute videos for each topic so you can focus your video on specific keywords in your niche. Smaller videos target the majority of video watchers who want to find out what they are looking for in the shortest time possible. I don’t know many people willing to sit down and watch a one hour video to find out a strategy or tip that will help them in whatever your niche is. Remember, the attention span of your potential client is shrinking as technology advances, so keep it short and to the point. One of the biggest benefits you’ll have with shorter video is video SEO. Each video you make should be based around primary or secondary words in your niche. If you do this, you’ll have a greater chance at building traffic to your videos and ultimately, your website(s). When preparing your video for upload, name your video files with your keywords in mind. I’ve had no problems with spaces in file names. I’ve seen other sites recommending dashes in your file names which might be necessary depending on your operating system. An example would then be top-widgets-for-wordpress.mp4. The reason for this YouTube will give your video preference if you use topical keywords in your file name. Give your video an appealing title with your keywords in mind. If your video shows your kid making a giant mess with his/her spaghetti dinner, you’ll want to create some curiosity while keeping your keywords in mind. In the spaghetti example, try “Spaghetti Dinner Disaster” which should pique your viewer’s interest. For business purposes, you’ll notice I put the primary keyword in the above example first. As with traditional SEO techniques, you’ll want to put your most important keywords at the beginning of your video title. This will help your video come up for those keywords. With your shorter videos, you’ll have multiple video titles based around your niche primary and secondary keywords, so you’ll be able to maximize the chances for your videos appearing in search results both on Google and on YouTube. 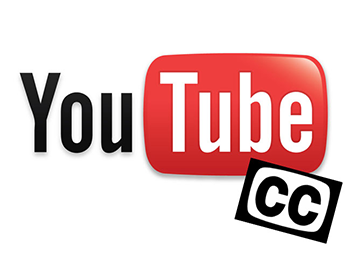 YouTube’s Video Description – Use It! This is obvious to many, but for many videos I see out there, it’s apparent some aren’t aware. When you are uploading your video and waiting, spend that time optimizing your video title (of course) but don’t forget to write a decent video description! I highly recommend writing at least two paragraphs and include the video’s secondary keywords to your niche. Your video title will take care of the primary keyword you are focusing on, but don’t forget that YouTube and Google search use the video description for relevancy! Keep the description relevant to your video while making it interesting and precise. Pretend the viewer isn’t going to watch your video until after reading the description, what would you say to get them to watch? Pro Tip: If you’ve taken my advice and created shorter topical videos in your niche, put links to your other videos at the bottom of your video description. This will help your videos progress through your series if they are interested but not quite ready to preform your call to action. Pro Tip 2: Below, I talk about YouTube Playlists. 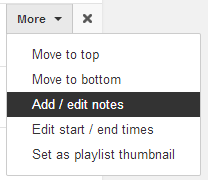 You can also create a playlist for your video series and link that playlist in your video descriptions! Use the best tags for your video for the keywords people search for in your niche. The more relevant tags you use, the more often your video will appear when people search for those tags. Your primary and secondary keywords should go in your tags. Think about what your potential audience would search for in your niche. 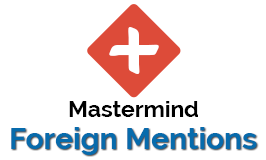 If you are an affiliate marketer, who created the program or tool? What’s the product called? What purpose does the tool serve? Besides those, did you know that people occasionally search for video IDs of popular videos? Perhaps they don’t trust a link or found out about a video online and are looking for it on YouTube, they will often search for the video ID. If you have room for additional tags, find popular and relevant videos on YouTube and put those IDs in your tags so your video will appear as well. Tricky, but it works! One of the obvious benefits of Closed Captions is for the hearing impaired. If you are a fast speaker or have a strong accent, many will turn on closed captions to understand you better. One of my favorite programs for recording myself through the webcam is Camtasia. That software has a powerful speech-to-text feature that will attempt to transcribe your speech to captions for your video. You’ll then need to play back your video and edit the mistakes before saving your SRT file which YouTube supports. Another benefit to using Closed Captions is the fact that both YouTube and Google have advanced filtering options that allows people to look for only videos that have closed captions enabled. Lastly, there have been several tests done by SEO sites that prove that closed captions are used for your video’s relevancy score and therefore, improves the probability that your video will rank for obscure, but related, words in the niche your video focuses on. With all of these benefits, it is worth your time to create closed captions for your video. There’s a reason that the majority of my videos I upload have the CC option available. Tip: Name your closed caption file with your main video keyword. 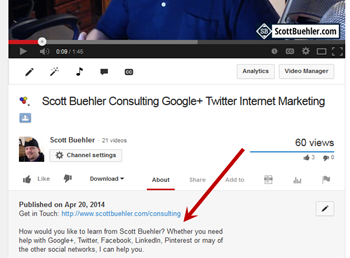 Embed your video on a Google+ post with a description. Share your video on all social media including Twitter, Facebook and LinkedIn. Create a blog post around your video. Email your video link to your website email subscribers. Email your video to family, friends and coworkers. Join Empire Avenue (free) and create missions for people to visit your video. When sharing, ask engaging questions with your audience. Statements like “I can’t wait to hear what you think!” “Leave a comment in the video and let me know if you have any questions” “Tell me how I did. I’m new to this!” etc. YouTube allows you to create an unlimited amount of playlists. Meaning, you can create a ton of different niche-based playlists based on your interests or based around your channel’s niche. Each play list is individually indexed in Google which provides you with another chance to have your videos found and watched. You can add a specific description to each of your videos in your YouTube Playlists for extra SEO optimization as shown in the screenshot to the left. Choose the title and description of your playlist carefully knowing that the phrasing you use will be used by Google for indexing. Playlists allow you to rearrange your videos and sort according to your tastes. So once again, if you followed my advice about creating short videos, you’ll benefit because you can create a playlist for these videos. Before, if you created a single 2 hour video covering your topic, it would be pointless to create a playlist. Awesome right? Tip: If you create a playlist for your video series, remember to link your playlist in your video descriptions. I’ve tested this in experiments before and found that if you ask people to do what you want, you’ll end up with better results almost every time. At the end of your video, tell your audience to subscribe, thumbs up and to leave a comment. Ask for questions. Ask for shares to social media. Tell them why they need to do it. The bottom line here, if you ask people to do something in your video, you’ll increase your chances of your viewers doing what you want. Be Consistent – As with all social media, being consistent is key! You should be uploading videos as frequently as possible for the best results. Provide Epic Value – If you aren’t providing real value to your viewers and just uploading promotional videos, you’ll struggle building your audience. Don’t be afraid to film yourself speaking and give your audience someone to identify with. You guys probably saw one of my links already that causes this amazing popup screen when you use it to visit YouTube. If you are not subscribed to me, check this link out and see what happens. Note: You will not see the popup if you are already subscribed to my channel. When you use the URL above with ?sub_confirmation=1, it will cause the trigger for people to subscribe. Use this to share your channel on social media because it works extremely well! You may have noticed on the right sidebar of this site, I have a widget that has a subscribe button. I just learned about this yesterday and guess when I added it here? If you said immediately, you’d be correct! There’s a couple ways I’ve found to add this to your website. Again this is customizable. You can increase the height and width to suit your needs. I used 300px because that’s the width of my sidebar. This method is the older way of embedding your channel on your site. I have no idea how long YouTube plans to support this method since they have the newer method below. I’m unable to find this older method mentioned on YouTube currently so use it at your own risk (if I see it quit working, I’ll update then). YouTube has ways to embed your channel on your website. For my purposes, it looked out of place and ugly in my sidebar, but for you, it may be the better option. Follow this link to see your options and to build your HTML code for your website. Note: All of these website methods are great if you have a website. Have you always wanted a website but not quite sure how? Check out my web hosting training site that teaches you how to create a website. The whole thing is in screencast video form, walking you through the entire process step by step. I do not recommend sticking with the standard thumbnails that YouTube randomly grabs from your video. Instead, create an eye-catching thumbnail for your video. The first impression is often crucial and will determine whether someone will click through to your video or skip it when browsing search results. One of my favorite things to do is just take a hand-selected frame and edit it with large block-letter text with “stroke” in the opposite color. I use Photoshop but you can use any image editor including free ones like Pixlr or LunaPic to accomplish this task. I see this particular method being used by extremely popular YouTube stars…. it works! Tip: Name your thumbnail file with your main keyword of the video. In finishing this guide, you may notice a theme. Links. This guide covers building links to your videos from within YouTube and via the web, but there’s something most people miss which could be the difference between your channel getting noticed or ignored. YouTube comments. This is extremely obvious to me, however, I’m noticing that other people either don’t know to comment or ignore commenting out of pure laziness. When you take 20-60 minutes of your day and spend that time commenting on other people’s videos, you are effectively spreading awareness to your YouTube account name and to your account in general. Each time you comment, your name is linked and points to your main YouTube profile for other people to find out more about you. If you don’t comment and engage with other people, then you are missing the chance for other people to stumble on your channel! Anytime you find yourself watching a video, you need to make sure you leave a comment. Not sure what to comment? Find other comments others have made and reply to their comment adding to what they have said. As you progress in commenting, you may notice that your comments on videos ending up under “Top comments” with upvotes. Once again, here’s an opportunity for people to find out more about you. Last Tip: Don’t be afraid to piggyback on Top comments. It works! What Are Your Tips for YouTube? Did you enjoy this guide? It would mean a lot to me if you shared this guide on social media and your website if you have one. Please leave a comment below and share your tips for YouTube success! 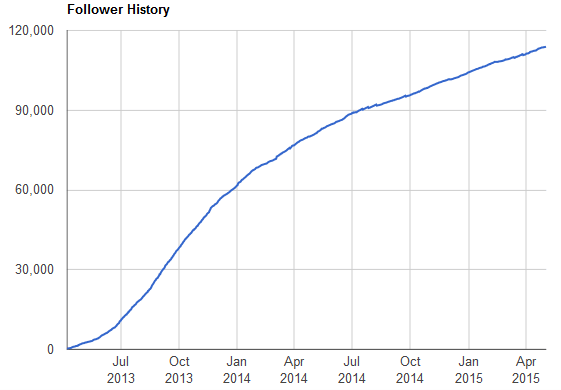 I look forward to reading what you are doing to build your following and traffic. As always, join my newsletter to stay up to date with all things Scott Buehler! Click the above red banner to play this video. Duration: 1 minute and 38 seconds. 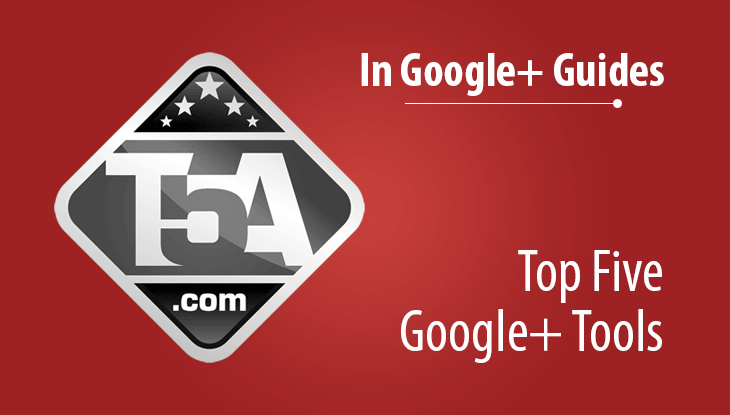 This video shows you exactly how to +mention a foreign-letter account on Google+. The video shows you two methods you can use to effectively mention these accounts properly. This is only needed if you are trying to mention an account who has made a post to their stream or to a community that you’d like to reply to. 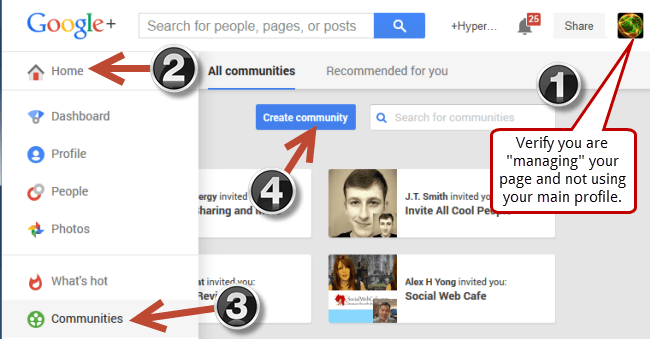 Google+ has an awesome built-in “Reply” link that you can use to reply to their account.